Neymar Jr and Rafinha are unavailable for Sunday’s game against Deportivo de la Coruña. Barça’s number ‘11’ is suffering from pain in his left leg’s abductor, whilst Rafinha has gastroenteritis. Neither of them will travel to Riazor as they were both unable to train on Saturday ahead of the LaLiga fixture. The two Brazilians join the injured duo, Aleix Vidal and Mathieu. Meanwhile, Jordi Masip has been left out by the manager and Barça B’s Aleñá comes in. 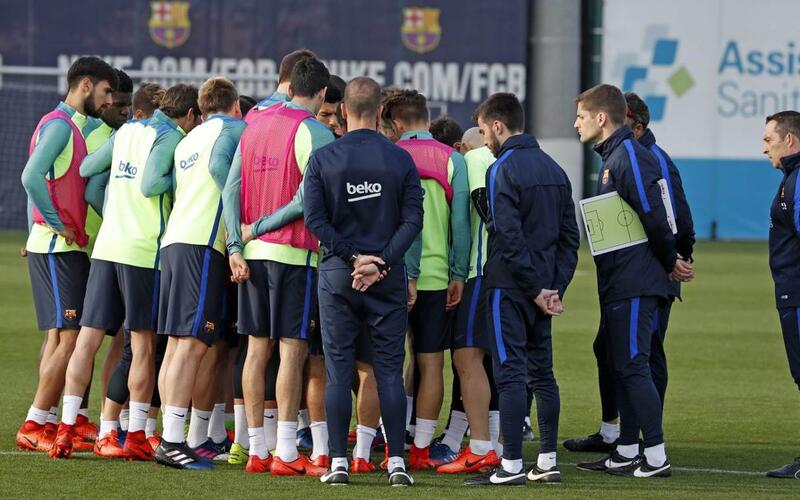 Therefore, the final match day squad for the trip to Galicia contains the following players: Ter Stegen, Cillessen, Piqué, Rakitic, Sergio, Denis, Arda, A. Iniesta, Suárez, Messi, Mascherano, Paco Alcácer, Jordi Alba, Digne, Sergi Roberto, André Gomes, Umtiti and Aleñá (28). The team are on their way to Coruña and they will arrive around 8.00pm CET. Once they have arrived the squad will go to the hotel to rest until a few hours before the game.